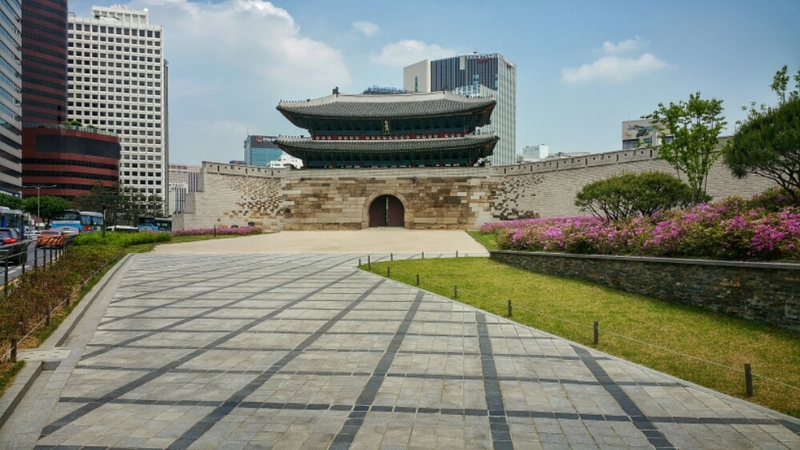 Seoul has done a fine job of preserving its history and heritage, even while building up to be a metropolitan destination. Sungnyemun is one of the eight ancient gates surrounding the old city of Seoul, first built some 600 years ago. We were lucky enough to see it on the one day a week that it is closed to visitors, so I was able to get a clean shot of it. Honestly I prefer it that way. On the other side of the gate is Nomdaemun market, “the most famous market in all of Korea” according to a local we talked to for a few minutes. 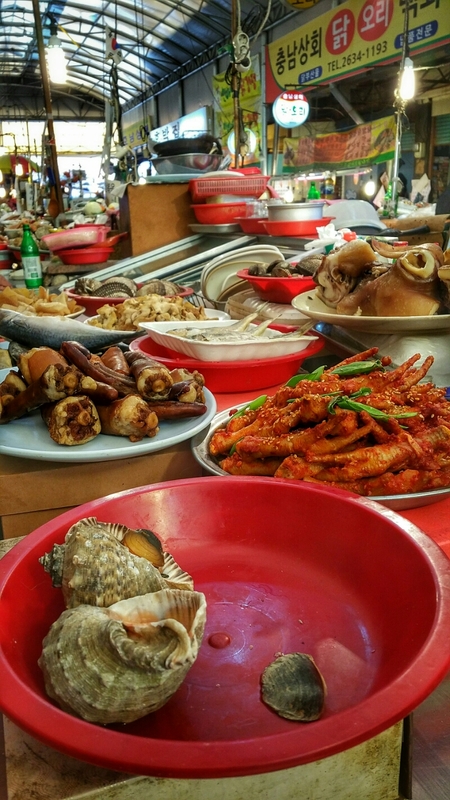 When pressed for what makes it the most famous market, we learned that it is the most famous market in Korea. I could not complain about the description, as his English was vastly superior to my Korean. The market is extremely busy, but because it is such a tourist destination, we found the prices to not be the bargain we expected. But of course we ate. And the food was superb. A couple of days later, after a good soaking rain that cleared all of the smog (but none of the pollen) out of the air, we traveled to Yeongdeungpo market. We’ll off the beaten tourist path, it was a locals market. Nowhere to be found were translations for anything, unlike the other markets in Seoul. Ordering food consisted of pointing to the raw ingredients on the table. The broth for the cooking was reused from the conch to the hog tail to the chicken feet to the mackerel to the sow ear. Bowls of noodles, samples of meat, plates of kimchi and glasses of soju made for an enjoyable lunch surrounded by plenty of folks who were pleasantly surprised to find us foreigners eating amongst them. Well first of all, I have not been to Korea before, therefore you are showing me a “new” world. Both photos and text were well done. All in all, this text makes me wanna go there. Or at least to the next market. Fantastic! Thank you for further explaining. We love to travel the world and explore the side alleys. I am glad we could light that fire in you. I hope you continue to do so!